A website looks incomplete without relevant images. Also, they are quite important for user experience and SEO. Optimized images can bring tons of extra traffic to your site. 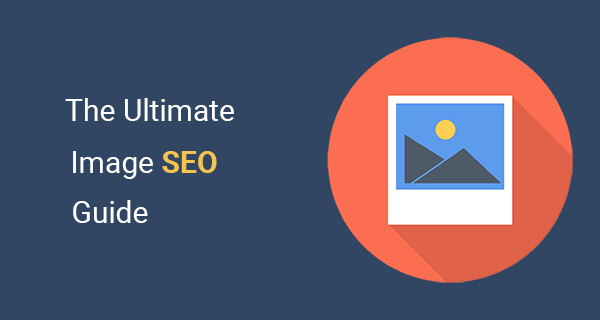 In this image SEO guide, I will tell you how to optimize images for search engines as well as user experience. If you are looking for high-quality images to include in your blog posts then check out these best free stock photo websites. Note: This image SEO guide is written for mainly self-hosted WordPress websites which have little to no text. However, some of these practices can be used in any content management system. Use this checklist to make sure you are not leaving any important step. Recently, a friend had trouble optimizing his photography portfolio website. He was making every effort to get any traffic to his website. Optimizing a website is important for him to attract new leads. He asked me to perform an SEO audit and suggest changes. So, when I perform the audit, I found that his images were too large in size. Due to which, his website was loading extremely slow even on a reasonable Internet connection. I suggested a few changes and helped him boost the traffic. So here are those simple SEO practices which helped my friend. I am hopeful that you guys will find them useful too. Images should help tell a story or simplify an idea or thing. Compelling images have a unique ability to inspire and engage your audience. So, it is important that images are relevant to the website text and other content. Using relevant high-quality images is a proven way to improve readability and user engagement. – Add images when they provide value to the user. – The image must be properly aligned with the page content. It is quite standard practice these days to compress images before uploading them to a website. A compressed image will load faster on the user’s end. Why is that important? Because not everyone is using a fast Wi-Fi connection to browse the Internet. So, these users will suffer a slow website experience. And you know that slow loading website can harm your ranking in search. You don’t want to lose a potential customer. Hence, you should always compress images. I have written a step by step tutorial on how to compress images without losing quality. Which Image File Type You Should Use? JPEG file type mostly used for still images, photographs with many colors, and images where mix light and dark shades have been used. PNG file type is a new format compared to the others. It is used to display brand logos which have transparency or fading in the background. Knowing these image file types will help you create better images without compromising quality. Image captions can be used to provide extra information to help a user understand the image. This text will be displayed right below the image. For example, if you have an image of written text which is not quite understandable, you might want to add a caption so people can understand the image. It is not advisable to use captions on every image but you can use it to best define the image content. Image file names should also be relevant to the image. Most images captured from a phone/digital camera give random numerical file names. 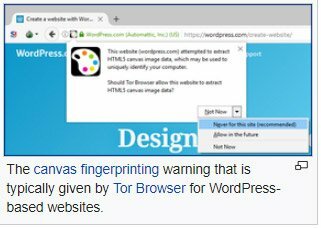 So, make sure that you change the image name before uploading them to a website. Keep your image file names simple. Don’t include unnecessary information within the file name. Try to keep it as short as possible. To give space within the file name, you can use a dash sign (-) instead of a normal space. Using alt text has been recommended to use by Google webmaster guidelines. The purpose of alt text is to aid people with vision problems to understand the context of the images. This alt text usually displays when an image is failed to load on the website due to Internet connection issues or server side problems. – Use a descriptive sentence to explain the image. – Never use unnecessary keywords. – Keep the relevancy between image and alt text. – Don’t include more than 10 words. Image title is another attribute that can be added to the image tag in HTML. It is used to provide a title for your image. If you want to display information on the image when a user hovers his mouse over the image, you can use image title text and add your text. You can see that it is a simple process to create an XML sitemap. However, if you are using a content management system then you can use Udinra All Image Sitemap plugin. You can also try these WordPress sitemap plugins. It is an important practice to use only relevant images surround with the relevant text. It will help both users and search engines get the context of the image. Most blogs these days don’t use alt text or image captions. So, if that’s the case, then make sure all the images are next to the text that is relevant to the image. This option is for WordPress photography/image gallery websites. These sites usually don’t have much text so they rely solely on images. It is difficult to get meaningful traffic that way. However, using categories properly can give your users and search engines a chance to explore your site further. You can display multiple images of the same nature in a category archive. Users would easily browse your website and find images they were looking for. If you are looking for new useful SEO tools then check out this list of best free SEO tools. Please feel free to suggest other image SEO tips in the comments so other people can benefit from them. I hope you find this image SEO guide useful. If you use Amazon to sell your products then also check out this Amazon SEO guide. I am following your blog from quite a long time. Can you please share strategies for building backlink from quality places and some unique way. Very informative and well discussed article, provide clear understanding on Image optimization and its relevance to promotion of Ads.